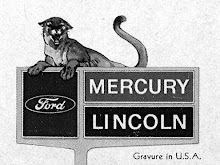 Donald Robichaud / Kelowna BC, I remember seeing my first Ford Mercury Cougar when I was 11 years old. My uncle Edgar had just purchased a 1967 Cougar and was speaking with my Dad. As I looked at the dark green cougar with the black interior I was taken back by the sleek look and the overall styling. The pop up head lights really intrigued me and so did the sequential head lights. What truly caught my attention was the ten foot skid mark that my uncle left on the pavement. The sound of squealing tires and smell of burnt rubber has stayed with me for a long, long time. 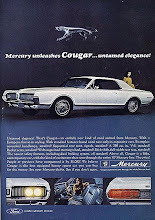 I personally fell in love with Cougar’s styling and with the second model change; the 1969 Cougar became my dreamed car. In high school I was fortunate to attend an affluent upper middle class high school and all my friends were driving their dads’ old cars. Those old cars just happened to be cars from the late 60’s. We lived in Clarkson Ontario and were only an hour away from Cayuga raceway which had a quarter mike track. I lived very close to my Cousin Rudy. He and his friends raced a 440 Road Runner and a 340 Dart GTS at the quarter mile. Sunday mornings we would drop the exhaust. The sound of those cars with straight headers was just amazing. When I was out of College and ready to purchase my first vehicle I eyed a 1969 Cougar. In a discussion with my dad I was persuaded to purchase a new vehicle and in 1976 I purchased 76 Pontiac Lemans Sport Coupe. For the next 30 years I got involved with life and taking care of my family. Last year I purchased my 1969 Cougar. After a search of the BC interior where I became disappointed with the term “Great Shape” I decided to take my search south and purchased an all original 1969 Ivy Green Cougar. I am the third owner and the car has all the horse power I need. With over 330 HP I am now able to relive the dreams of my youth and leave my own ten foot skid mark here in the present.